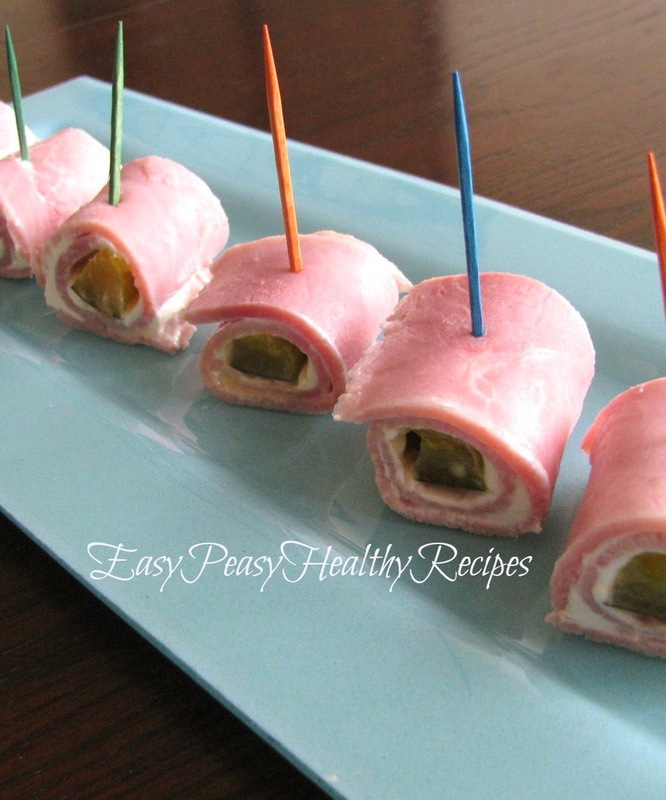 Slice dill pickle spears in half. I prefer to use Applegate ham because it doesn't contain any nitrates but you can use any type of ham you prefer. Place a dill pickle spear on edge and roll up. Secure with toothpicks. Slice into bite-size smaller pieces.